Explore The Realities Of Being A Teenage Girl In A Modern Media Environment In "Entertaining Demons"
Explore the realities of being a teenage girl in a modern media environment in the new audiobook "Entertaining Demons" written by author Daniel I. Russell and narrated by Dwayne F. Chew. Now available worldwide, download your copy today! 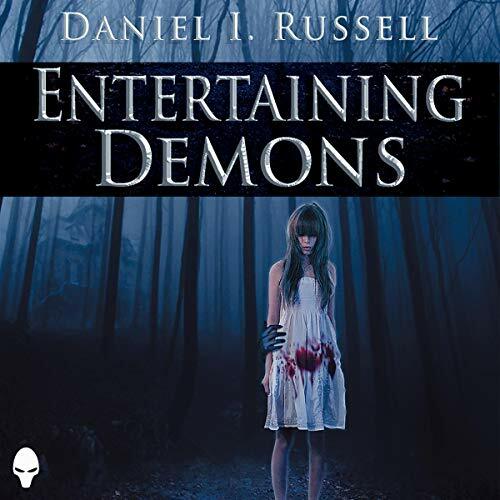 NEW YORK - Dec. 14, 2018 - PRLog -- Entertaining Demons by Daniel I. Russell is a vicious and all too real exploration into the realities of being a teenage girl in our modern media environment. Starring in the reality TV show PI: Paranormal Investigations should be a dream come true, but for Molly it's a nightmare. Between constant filming, unexplained occurrences waking her at all hours, and the scrutiny of her friends and neighbors, she is frustrated and exhausted. Unfortunately, the contract her grandpa signed says she can't quit, and she does need the money. Besides, the show's host, Samuel, is the only one who wants to help stop the hauntings. Molly decides to ride out the experience, thinking that footsteps and rattling doorknobs in the middle of the night aren't so bad. Demons are making their way to Molly's quiet English town, intent on shutting down the show. As the darkness converges, Molly is caught in a struggle among demons while desperately fighting to keep her family safe.